This review is about item#40139802. This review is about item#40139827. I bought an LL size, but the adaptation height is as small as 165 to 175 cm. I failed. It will normally correspond to 180 cm. Please also display standard size. This review is about item#40139811. I am wearing it at the time of painting, but because it is a nonwoven fabric, it is the best in prevention of dirt in the winter work as well as insulation. I use it until I can break it in upper and lower set, but I like it and I continue to purchase it. 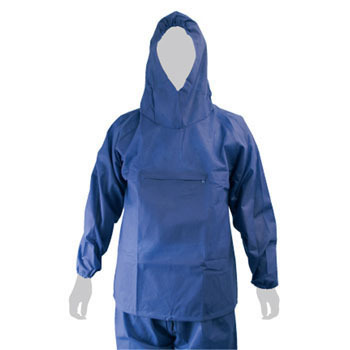 Unlike traditional protective clothing up and down, it's very easy to use, as it has a large pocket on the chest, so small items are very popular. I do not have to wear it because I wear it from the top of the work clothes, so it's best not to explore the wind. The price is not so expensive. I do not need a hakama from the neck. Durability is also satisfied. Compared with nylon yakke, the work became comfortable. I think my neck is a bit cramped. I would like to make room by using rubber and others. This review is about item#40139793. I am replacing it for dirt earlier than I can break it. It lasts longer than disposable. You can work very comfortably with the wind of the fan because it is excellent in breathability even when the outside air temperature is 30 degrees or more. Speaking, if it is a bit stronger to sputter, there is nothing to say, but it is useful enough to counter heatstroke. I am using it at the repair construction site. It is a dusty work site, but it is easy to move because it is hard to steam and it is the best. Mouret inside the yak was less comfortable.